If you or a loved one has been arrested on grand theft charges, you are no doubt wondering what to do and who to turn to. You understand the severity of the charges and want to do everything possible to prove your innocence and mount a strong defense. With the skilled guidance of a Santa Rosa theft crimes attorney, you can make headway into complex legal waters and towards defending yourself from the repercussions of having a felony conviction on your criminal record. Grand theft is the taking of someone else’s property – valued at $400 or more – in an unlawful manner. If the value of the stolen property is less than $400, you will generally be charged with the lesser crime of petty theft. In some cases of grand theft, the value of the property is irrelevant, such as when the items stolen were a firearm, an automobile, certain animals, or property that was carried by another person. And to add even more complexity, some items must only be valued over $100 to constitute a grand theft charge, such as certain foods and actions like stealing oil, water or another resource from a person’s land. Prosecutors can charge grand theft as either a misdemeanor or felony, depending on various circumstances. A misdemeanor conviction can bring up to a year in jail, while a felony conviction can result in prison time of 16 months to 3 years. 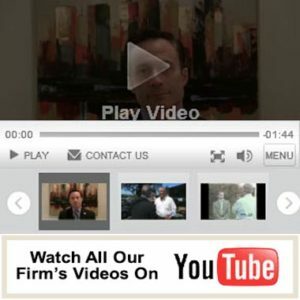 Fiumara & Milligan Law, PC stand ready to act swiftly and aggressively in your defense. We have a proven track record and hundreds of trials under our belt. Our legal prowess and attention to details has helped many a client received reduced charges and acquittals, and we are committed to comprehensive and caring action in each case we represent. Contact us today to find out how our firm can help get you through this difficult period in your life.